In establishing the three branches of government the Founders assumed that each branch would op­erate independently under the limits of the constitution, but that no one branch could go off the tracks far enough that the other two branches couldn’t bring the errant branch back on the tracks. They further assumed that there would be sufficient individual members in each branch of government that would be honorable, honest, forth-right and would right a wrong if they saw one. If one or more members strayed from the constitution, or engaged in illegal or unethical activity, those honest members would use the ap­plicable legal mechanisms to correct the situation, or make such a fuss that public opinion, armed with sufficient votes, would drum the bad members out of office. The assumption being that there would al­ways be more honorable office holders than dishonest ones. In other words, the process was assumed to be self correcting. continuously strive to increase their power, in spite of the Separation of Powers doctrine embedded in the core of the constitution. They further erred in assuming that the PEOPLE would pay attention and hold those men with the power, accountable. Both assumptions have turned out to be grossly wrong and what you see around you today, nationally and internationally, are the result of those wrong assumptions. WE THE PEOPLE through our votes. That only works if the outside power even cares. The lust for power is all consuming and can be for way too many politicians, a deep-seated obsession or compulsion. The objective being, stay in power at any cost, or by any means to feed the obsession, not unlike a drug or alcohol addiction. Corrupt power is contagious and can infect those around the corrupt ones. Many new politicians, consumed by the desire to do good by getting elected to office, soon find when they get to their post, they have no power at all, other than what is dolled out to them by the senior ones. If a new politician makes any attempt to change the system or to weed out the corruption, he is immediately ushered off to some non-descript area where he can do no more harm. individually, or provide funds to their family mem­bers, using the taxpayers’ money to do it; millions of dollars of taxpayers’ money. And this was only three examples. These congressmen have not been punished, penalized, sanctioned, demoted, or voted out of office for their misdeeds. One congressman that Chris interviewed, who has made attempts to clean up the practice of ear­marks, has found himself ostracized and removed from the oversight committee. The senior ones “explained” it to him. Don’t mess with the sys­tem, corrupt or not! In their obsession to remain in office, the cor­rupt ones will promise any amount of taxpayer money to be dolled out to those who have not earned it, in the hopes that the recipients of tax­payer money will vote to keep the politician in of­fice. Or they will use their political power to pander to special interests that can also garner votes, favors and money. 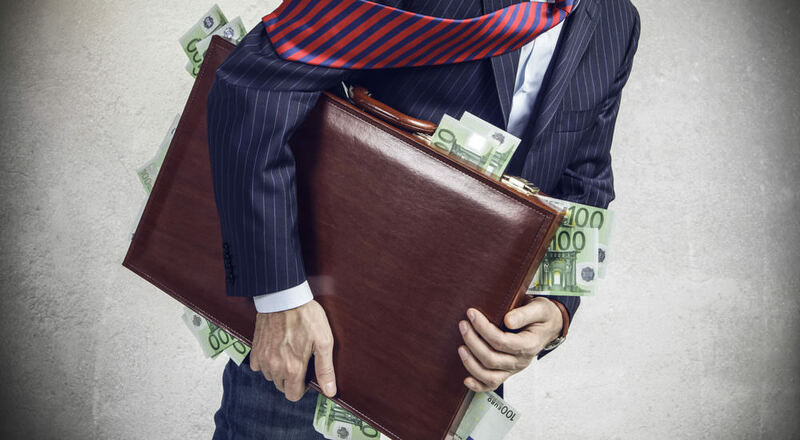 The corrupt politicians have been so successful that the lion’s share of the politicians in federal, state or local govern­ment, are corrupt, as well as the lobbyists they pander to, as are the recipients of our taxpayer money, who got something for “free”. We now have a condition in which the politicians do not care anything about constitutional limits because they have found they can violate those limits with impunity. Once the precedence’s have been set to violate their oath of office to preserve, protect and defend the constitution, and there is no penalty for their violations, the practice continues unabated. Now we know that not all politicians are cor­rupt and some are actually trying very hard to make a difference. But the inertia of the “system” and the length of time that it has been corrupt makes their job almost impossible unless the PEOPLE give them a hand and certain limits are placed on politicians, which we discuss below. So what if most of the politicians are corrupt, in one form or another? What if they all have de­cided that the system is King, even if it is cor­rupt, and to survive and stay in office, they have to “play ball”, no matter what their political affil­iations may be? To expect that the politicians or the bureaucrats, at any level of government will clean up their own act, is naive at best and dan­gerous at worst. The following are five peaceful solutions to a situation that is hopelessly out of control and decidedly corrupt, with our very freedom and liberty in peril. 1 • Term limits must be demanded by the people and instituted at all levels of government. Period! 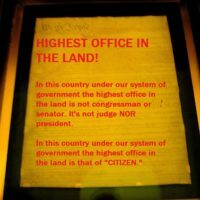 No more than two consecutive terms for any office holder in any federal, state or local position. Why should the President be limited to two terms but all other office holders can make a ca­reer out of being a politician? A career that eventually leads to a system of corruption, which we have now. 2 • A strong oath of office must be required to be sworn to on oath by all office holders and the penalties for the violation of that oath must be stiffened to heavy fines and imprisonment. 3 • Penalties for exceeding the limits of the federal or state constitutions must also be stiffened with severe fines and imprisonment. Right now there are very few penalties for being a corrupt politician. 4 • The head or director of any bureaucracy can be in office for no more than four years. When a bureaucrat is found guilty of fraud, corruption, abuse or waste of the taxpayer money, they must be punished to the full extent of the law, instead of being promoted, as happens far too often. If there is no punishment for illegal or corrupt be­havior in government, there is no deterrent. 5 • The voters must take a deeper interest in politics and get involved on a much larger level than they are now. In short, voters had better start holding their elected officials accountable and to the limits of the constitution, or they get what they deserve; waste, fraud, abuse and corruption. They are today, getting what they deserve for not paying attention for far too long to those who hold power over them. If the steps mentioned herein are not taken and soon, there may be only one other solution left to those of us who cherish liberty and are de­termined to see that it is defended and main­tained in perpetuity for our children and our grand children. The final solution, if imposed, will seriously disrupt the lives of all Americans, per­haps beyond repair. It is our firm hope, that the final solution will never become necessary. Unbridled Corruption is the Hallmark of The Obama LegacyIs Nationalization of the Banks Different from Other Takeovers?